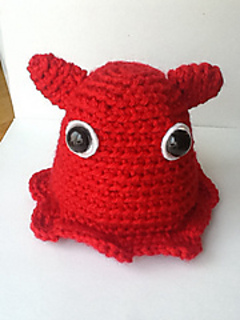 This darling little octopus, Shortstack the Flapjack Octopus, was inspired by the discovery of a possible new species of flapjack octopus found at the Monterey Bay Aquarium Marine Institute in Monterey, California! I was inspired, when I saw it on the news, to create one and here it is! There are so many undiscovered creatures in our vast oceans and so much we still can learn about them! 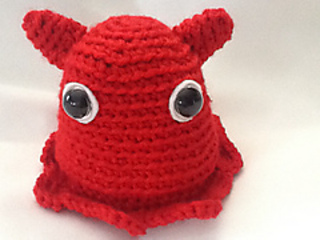 This cute little octopus is approximately 4 inches tall and 5 inches wide, when using worsted weight and a G size hook. 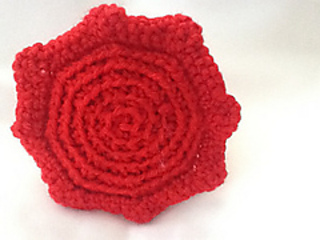 You can use other yarn weights, just use a hook that will give you a fabric without gaps and holes. Gauge doesn’t really matter! 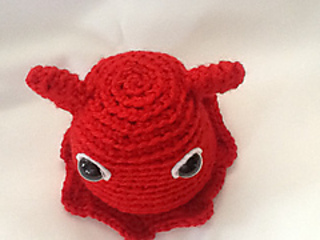 This octopus is crocheted in a spiral. A stitch marker is very helpful to keep count of the rounds. 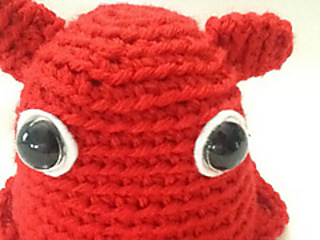 ©knitwhy, 2015. Pattern may not be sold or redistributed without permission. Items made from this pattern may be sold, with credit to me as the designer. Thank you for respecting the copyright.